DOST-Advanced Science and Technology Institute has installed various hydro-meteorological devices, such as Automated Rain Gauge(ARG), Water Level Monitoring Stations (WLMS), and Tandem Stations, all over the Philippines since 2010. While the stations provide valuable near real-time data for monitoring major riven basins, ahead-of-time flood estimations are of interest for early warning purposes especially for local communities situated along the river basin. This study addresses the need on developing a predictive model that can provide an ahead of time nowcasting system for water level and flood hazard to provide a decision support tool for the local communities. A data driven approach using machine learning is implemented to generate ahead-of-time water level estimation. Results from the testing data shows that the resulting model was able to provide an accurate ahead of time water level prediction without relying on rainfall-runoff models. Felan Carlo recently completed his master’s Degree in Electronics Engineering at the Ateneo de Manila University. He holds a bachelor’s degree in Applied Physics from the University of the Philippines – Los Banos.Today, Felan Carlo works under the Solutions and Services Engineering Division (SSED) as a regular employee for the past four years. Being part of the Flood Sensor Development Installation and Monitoring of Urban Flooding in Metro Manila (Urban Flood) project is what keeps him occupied these past few months. 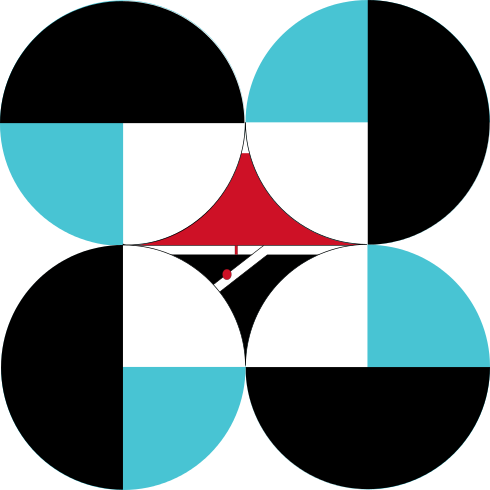 Alvin started his engagement with the DOST-ASTI under the Presidential Summer Youth Work Program (PSYWP) and had been absorbed by the agency and risen in rank through his years of service.Being the SSED Chief, he leads notable projects of their group such as the Philippine Earth Data Resource Observation Center (PEDRO), and Synthetic Aperture Radar (SAR) and Automatic Identification System (AIS) for Innovative Terrestrial Monitoring and Maritime Surveillance (NovaSAR-S) among others. 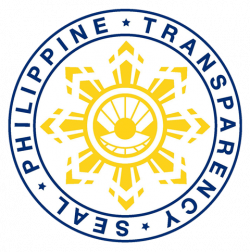 He is also part of the Development of Philippine Scientific Earth Observation Microsatellite (PHL-MICROSAT) Program as the leader in Project 2 entitled “Establishment of Ground Receiving Station for the PHL-MICROSAT”. After graduating with a degree in Bachelor of Science in Electronics and Communications Engineering from the New Era University, Joven continued his education in Japan for a Masteral Degree in SPACE Engineering International course in the Kyushu Institute of Technology. He is part of the team who worked on the country’s first cube satellite (CubeSat), Maya-1, which was recently launched into space from the International Space Stations (ISS).Mr. 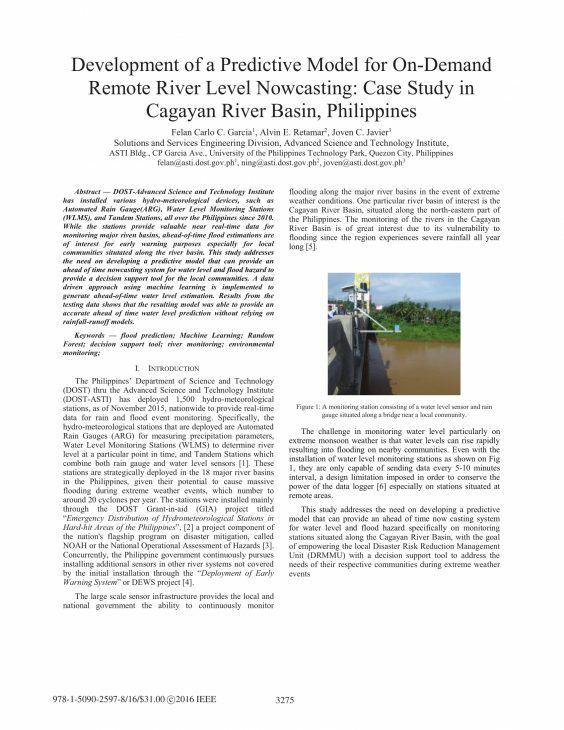 Javier is one of the authors of “A Real Time Urban Flood Monitoring System for Metro Manila” and “Development of a Predictive Model for On-Demand Remote River Level Nowcasting: Case Study in Cagayan River Basin, Philippines”. He was in-charge of the hardware development and debugging, sensor deployment, and sensor data output quality assurance for these papers.